Several notes to the readers, keep these in consideration as you read Francis' words. There are two types of Torah in Talmudic Rabbinical Judaism. How did the Rabbinical Jews come by the Torah Shebeal peh? Torah Shebeal peh or the Talmud nullifies The First Five Books of Moses. Then came to him from Jerusalem scribes and Pharisees, saying: Why do thy disciples transgress the tradition of the ancients? For they wash not their hands when they eat bread. But he answering, said to them: Why do you also transgress the commandment of God for your tradition? For God said: Honour thy father and mother: And: He that shall curse father or mother, let him die the death. But you say: Whosoever shall say to father or mother, The gift whatsoever proceedeth from me, shall profit thee. The gift: That is, the offering that I shall make to God, shall be instead of that which should be expended for thy profit. This tradition of the Pharisees was calculated to enrich themselves; by exempting children from giving any further assistance to their parents, if they once offered to the temple and the priests, that which should have been the support of their parents. But this was a violation of the law of God, and of nature, which our Saviour here condemns. And he shall not honour his father or his mother: and you have made void the commandment of God for your tradition. Hypocrites, well hath Isaias prophesied of you, saying: This people honoureth me with their lips: but their heart is far from me. And in vain do they worship me, teaching doctrines and commandments of men. And having called together the multitudes unto him, he said to them: Hear ye and understand. Commandments of men: The doctrines and commandments here reprehended are such as are either contrary to the law of God, (as that of neglecting parents, under pretence of giving to God,) or at least are frivolous, unprofitable, and no ways conducing to true piety, as that of often washing hands, etc., without regard to the purity of the heart. But as to the rules and ordinances of the holy church, touching fasts, festivals, etc., these are no ways repugnant to, but highly agreeable to God's holy word, and all Christian piety: neither are they to be counted among the doctrines and commandments of men; because they proceed not from mere human authority; but from that which Christ has established in his church; whose pastors he has commanded us to hear and obey, even as himself. St. Luke 10. 16; St. Matt. 18. 17. The Torah Shebeal peh or the Talmud also mocks Jesus the Christ, blasphemes Him, says He was crucified by the Rabbinical Jews, is in hell, and has been set up as an idol by His followers and worshiped ever since by them. With these points in mind read Francis' speech. Underlines are ours for emphasis. I am pleased that your meeting is taking place this year in Rome, the city where the Apostles Peter and Paul are buried. For all Christians, both Apostles are an important point of reference: they are like “pillars” of the Church. Here in Rome, we also find the most ancient Jewish community in Western Europe, whose origins can be traced to the time of the Maccabees. Christians and Jews therefore have lived together in Rome for almost two thousand years, even though their relations in the course of history have not been without difficulty. The development of an authentic fraternal dialogue has been made possible since the Second Vatican Council, following the promulgation of the Declaration Nostra Aetate. 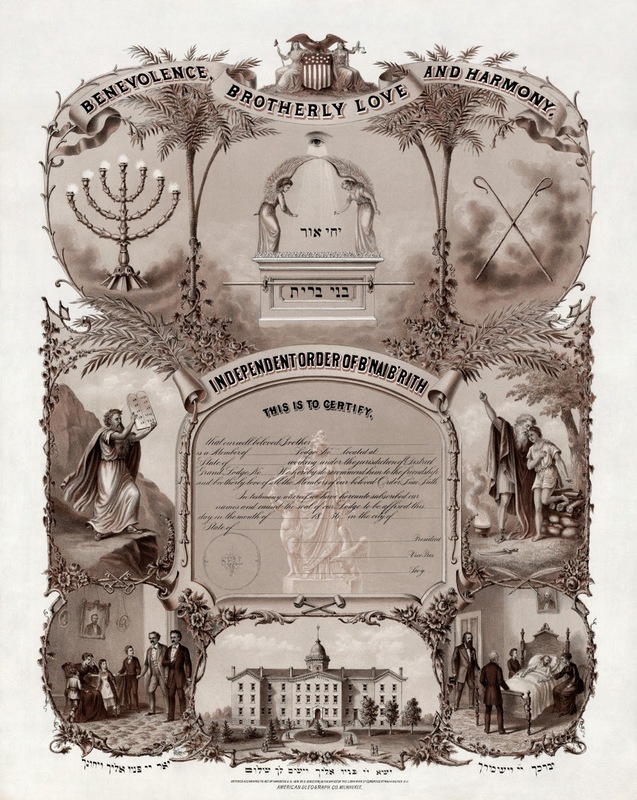 This document represents a definitive “yes” to the Jewish roots of Christianity and an irrevocable “no” to anti-Semitism. In celebrating the fiftieth anniversary of Nostra Aetate, we are able to see the rich fruits which it has brought about and to gratefully appraise Jewish-Catholic dialogue. In this way, we can express our thanks to God for all the good which has been realized in terms of friendship and mutual understanding these past fifty years, as his Holy Spirit has accompanied our efforts in dialogue. Our fragmented humanity, mistrust and pride have been overcome thanks to the Spirit of Almighty God, in such a way that trust and fraternity between us have continued to grow. We are strangers no more, but friends, and brothers and sisters. Even with our different perspectives, we confess one God, Creator of the Universe and Lord of history. And he, in his infinite goodness and wisdom, always blesses our commitment to dialogue. Christians, all Christians, have Jewish roots. Because of this, since its inception, the International Council of Christians and Jews has welcomed the various Christian confessions. Each of them, in its own way, has drawn near to Judaism, which in its time, has been distinguished by diverse trends and sensibilities. The Christian confessions find their unity in Christ; Judaism finds its unity in the Torah. Christians believe that Jesus Christ is the Word of God made flesh in the world; for Jews the Word of God is present above all in the Torah. Both faith traditions find their foundation in the One God, the God of the Covenant, who reveals himself through his Word. In seeking a right attitude towards God, Christians turn to Christ as the fount of new life, and Jews to the teaching of the Torah. This pattern of theological reflection on the relationship between Judaism and Christianity arises precisely from Nostra Aetate (cf. no. 4), and upon this solid basis can be developed yet further. In its reflection on Judaism, the Second Vatican Council took account of the ten theses of Seelisberg, formulated in that Swiss town in 1947. These theses are closely linked to the founding of the International Council of Christians and Jews. We can say that there was already in embryonic form an initial concept of cooperation between your organization and the Catholic Church. This cooperation was officially inaugurated after the Council, and especially after the establishment of our Commission for Religious Relations with the Jews in 1947. 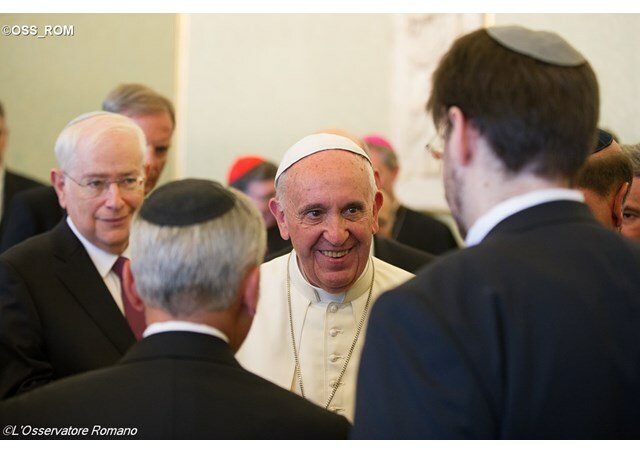 This Commission of the Holy See always follows your organization’s activities with great interest, in particular the annual international meetings, which offer a notable contribution to Jewish-Christian dialogue. Dear friends, I thank all of you for this visit and I wish you well for your meeting. May the Lord bless you and keep you in his peace. I ask you please to pray for me. Thank you. This guy is a Catholic bishop? "But because thou art lukewarm, and neither cold, not hot, I will begin to vomit thee out of my mouth." Bp. Fellay, in a May 2015 sermon, made reference to his being appointed a judge by Rome. 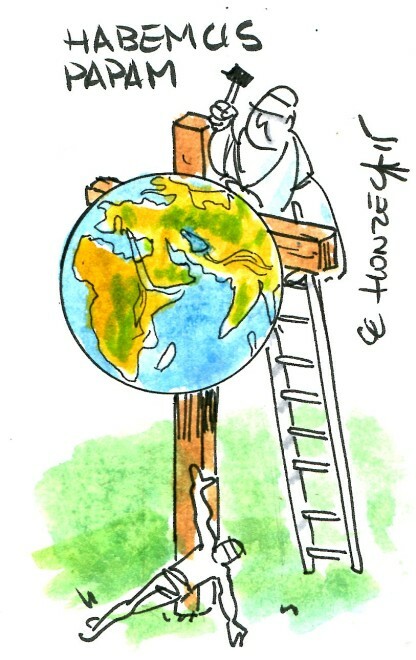 Then La Stampa's Vatican Insider, confirmed that this was indeed true. In this recent interview by Anne le Pape, Bp. 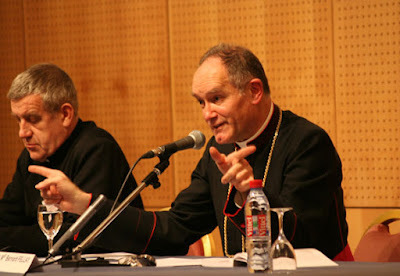 Fellay's interview: a work of the Church!, Bp. Fellay clarifies his remarks. We post it in its entirety below. Bp. Fellay's interview: a work of the Church! On the occasion of the blessing of the bells for the chapel of the Saint-Michel de La Martinerie school in Chateauroux, Bishop Fellay gave Presentan update on the situation of the Society of St. Pius X, of which he is the Superior General. In an interview with Fideliter in 2001, you mentioned the "movement of profound sympathy from the young clergy for the Society." 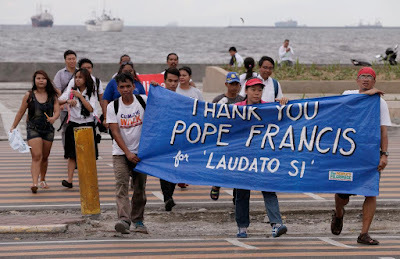 Has this movement grown, especially with the motu proprio in 2007? "Without a doubt! The motu proprio gave this movement a new impetus. 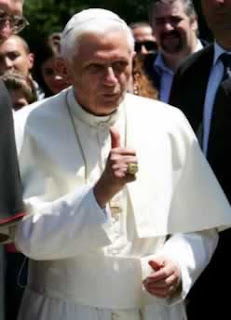 And it is important to insist upon Benedict XVI's interest for the liturgy in general. He truly wished to put the entire traditional liturgy, not only the Mass, at the disposition of the priests and the faithful; this did not happen because there was too much opposition. But the young priests identify with this liturgy, precisely because it is timeless. The Church lives in eternity. The liturgy does also too, which is why it is always young. Close to God, it is outside of time. So it is no surprise that the baptismal character makes this harmony resound even in souls that have never known the liturgy. And the way the young priests react when they discover this liturgy is moving: they have the impression a treasure has been hidden from them." The Society was officially recognized as Catholic by the State of Argentina, with the help of Cardinal Bergoglio, who has since become Pope Francis. Does this have a purely administrative importance or is it more revealing? "First of all, it has a juridical and administrative effect with no implications as far as the Society's general relations with--to put it simply--the official Church are concerned. But the secondary effects are not easy to evaluate correctly. 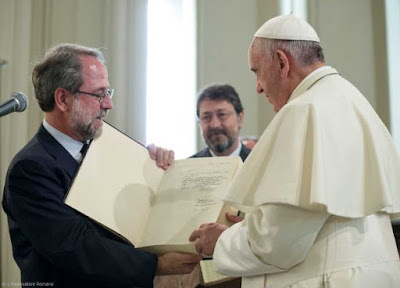 There is no doubt that Pope Francis, then Cardinal Bergoglio, had promised to help the Society obtain the Argentinian State's recognition of our society as Catholic and that he kept his promise. So we have no choice but to think that he does consider us Catholic." Along the same lines, you were made a judge of first instance by the Vatican for the trial of a Society priest. Can that be seen as a sign of good will? "That is nothing new; it has been the case for over ten years. It is indeed a sign of good will and of common sense. It is something that can be observed in the Roman Church throughout her whole history: her realism, her capacity to go beyond canonical and juridical problems in order to find solutions to very real problems." In your Letter to Friends and Benefactors, you mentioned "contradictory messages" coming from Rome. What do you mean by that? "I was thinking of the way in which a society that was becoming closer to Tradition was treated--or rather mistreated: the Franciscans of the Immaculate. 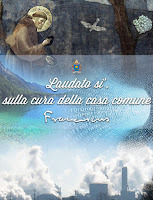 And of the different ways we are treated by the different Roman authorities: the Congregation for Religious, for example, still considers us schismatic (in 2011, they declared a priest who joined our Society excommunicated), but that is not the case with other congregations, or the pope himself, as we just said." "Pessimistic", "closed to others", "thinking that only the faithful of the Society will be saved": you are sometimes referred to in these terms. How would you respond? What is the missionary spirit in your eyes? "I do not recognize myself in these quips. Firmness in doctrine is indeed necessary, for the Faith is not up for negotiation. The Faith is, as a whole, given by God, and we have no right to pick and choose among the revealed truths. Today, reminders of these requirements are unwelcome, as has always been more or less the case. The expression 'the fight of the Faith' is part of the history of the Church. The missionary has to make the voice of the Faith heard outside, and at the same time seek to strengthen those who already have it. We cannot speak only to the faithful of the Society. The torch lights up the world, the light of the faith shines with warmth. The Faith must be borne by charity: that is how I see the missionary." A few weeks ago, the Society's seminaries were visited by Cardinal Brandmuller and Bishop Schneider. These visits are a public connection with the "official Church". Isn't that vital? "The link with the Church is vital. The manifestations of this connection can vary. The dates and places for these visits were left up to me; the Vatican chose the names. I chose the seminaries because they seemed to me to be the most eloquent and representative for the bishops." What were the first reactions of these bishops? "They were very satisfied. 'You are normal people,' they told us...which goes to show the reputation we have! They congratulated us on the quality of our seminarians. There is no doubt that their conclusion after this first closer contact was that we are a work of the Church." Have you been in contact with any bishops who support you discreetly? "Of course! When we see that priests are coming closer to us today and entering into contact with us, we can easily conclude that the same is true on the higher level..."
In the 2001 interview we already mentioned, you declared: "If there is any chance at all that our contacts with Rome could bring back a little more Tradition in the Church, I think we should seize the opportunity." Is that still your position? "That remains our position, even if we cannot say it is easy, especially because of the open dissensions within the Vatican itself. These relations are delicate, but our point of view remains valid as is confirmed by the facts. It is a discreet work, being accomplished in the midst of strong opposition. Some are working in one direction, others in the opposite direction." Is the Society's role as a counterweight within the Church important? "This role is nothing new. Archbishop Lefebvre started it, and we are continuing it. It is easy to see in the irritation of the modernists at the steps taken by Benedict XVI." Where is the Society today? What are its strong points and its weak points? What future do you foresee for it? "I see a peaceful future. It is a work that has been entrusted to the Sacred Heart of Jesus and the Immaculate Heart of Mary; all we have to do is remain faithful to their will. 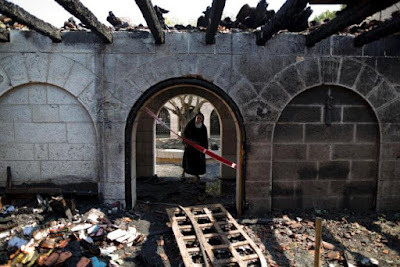 This Church is the Church of Our Lord Jesus Christ, who remains her head and will not allow her to be destroyed." "The Society's weaknesses? The risk of separation is serious. Look at the caricature of Tradition that calls itself the "Resistance", for example: it is a non-Catholic spirit that is almost sectarian. We wish to have nothing to do with it; it is a movement that is withdrawn into itself, with people who think that they are the only good and just men on earth: that is not Catholic. It is an objective, but relative danger. Most of the Society is healthy and will not fall into these illusions. This encourages us to rely upon supernatural means. God will show us what He wants of us; He will speak through circumstances." "The strong points? The living fidelity that bears fruit and shows the world today that the Catholic life, even with all its requirements, is possible. But -another weak point- we are men of our times, and it would be a dream to pretend that we are immunized against the influence of the modern world. To be more precise, we must avoid the caricature of wishing for a Church without wrinkles or stains here below: that is not what the good Lord promised us on this earth. That is not what the 'Holy Church' means; it means that she is capable of sanctifying using the means given by Our Lord: the sacraments, the Faith, discipline, religious life, the life of prayer." What do you think of Cardinal Sarah's suggestion of introducing the traditional offertory into the New Mass? "It is not a new idea; it has been around in Rome for ten years. I am glad it has been taken up again. Some criticize the idea, saying it is a way of mixing the profane with the sacred. On the contrary, in the perspective of bringing health back to the Church, I think it would be a great step forward, because the Offertory is a summary of the Catholic principles of the Mass, of the expiatory sacrifice offered to the Blessed Trinity, offered by the priest to God in reparation for sins, and accompanied by the faithful. And that would gradually bring the faithful back to the traditional Mass they have lost." How would you like to conclude, your Excellency? "In my opinion, we are on the eve of important events that we cannot yet define very well. I would like to call for prayers and end with a gaze towards God, which allows us to always have hope." 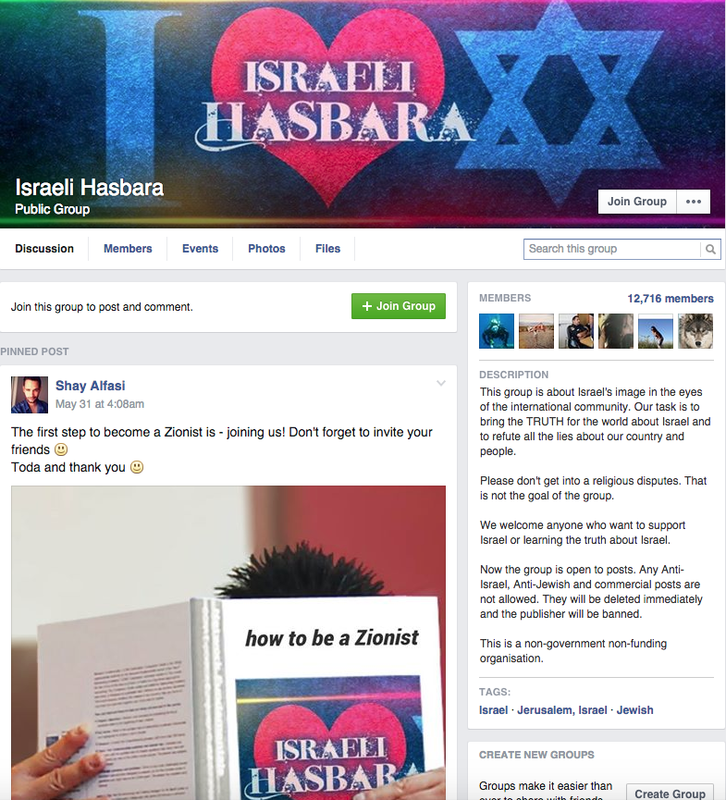 A Catholic working for Hasbara? Click on the screenshot below. 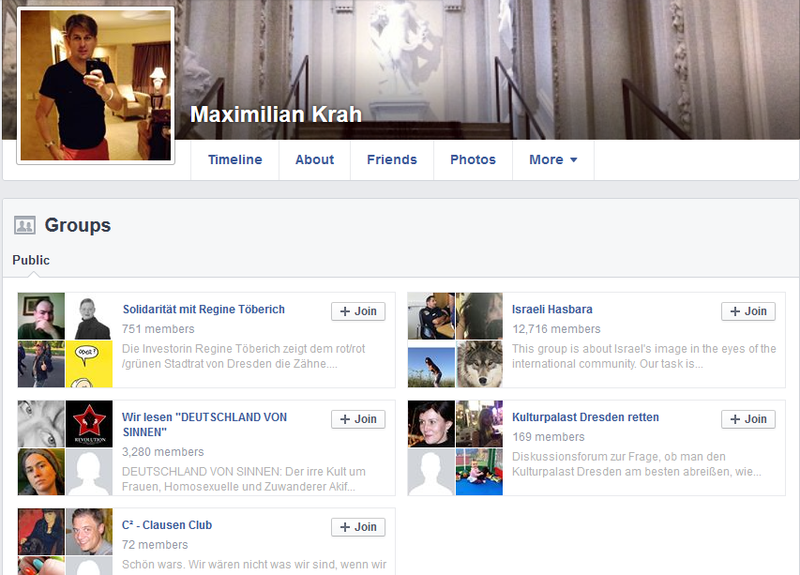 Max is a member of the Facebook group: Israeli Hasbara. Unbelievable!? We were assured by Robert Siscoe in his Remnant Newspaper interview with Krah titled, Krahgate An Interview with Maximilian Krah, that he was an upstanding Catholic! People who asserted Krah was a Zionist or even a Mossad agent were pushed aside as nonsensical by Siscoe in the interview. 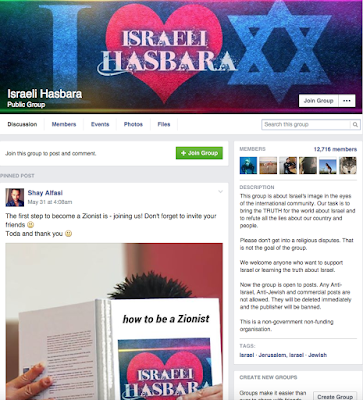 Click on the screenshot below to see the explanation on the Israeli Hasbara's facebook page, the group Max is a member of. Hasbara is Israel’s main “soft-power” tool, aimed primarily at external audiences, unlike the negatively perceived “propaganda,” which is directly internally. It is the bad guys who engage in propaganda, promoting their goals and narratives by fabricating facts, manipulating the media and deceiving everyone into thinking that they are the good guys. Hasbara is what we - the good guys - do, in order to explain how good we really are, and expose how bad the bad guys are. For instance, explaining that Jews have been living in the Holy Land for 3,000 years and have a right to their ancient homeland – this is hasbara, but when Palestinians say that the Jews are foreigners and the Temple never existed – this is propaganda. Don't worry though, the Remnant Newspaper as well as Bp. 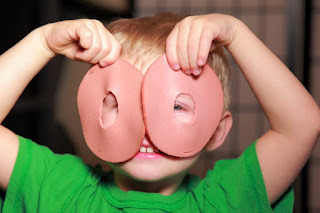 Fellay assured us that Krah is a - O.K. ! Benedict XVI gives Kosher Krah a thumb up! 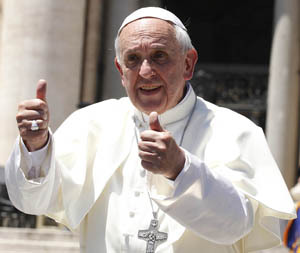 Francis gives Kosher Krah 2 thumbs up! 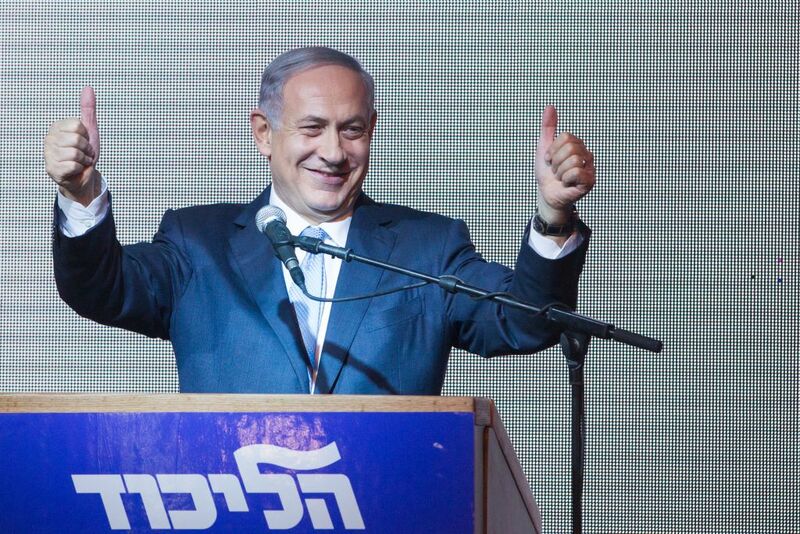 Netanyahu gives Krah's work for the FSSPX 2 thumbs up! 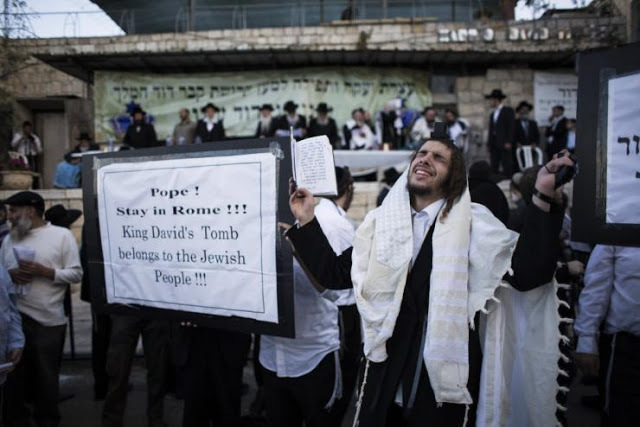 Talmudic Judaism demonstrates its love for Christianity! Guest columnist, Jimmy Achin' is pushing his shopping cart full of excuses for Francis! It is wonderful to have such a confusing matter straightened out with such towering intellect. Who says there is no clarity in the church today? 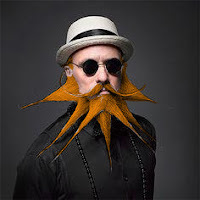 A big thanks Jimmy Achin' for filling in today on the Call Me Jorge... blog! I had never heard you address this on your show or Blog – it recently happened and you may not know about it. But what gives about the story of Frankie kissing the Waldensian Bible?! I’ve seen it mentioned on the blog, Call Me Jorge. However, I don’t know the context of this event or any other details so I can only wonder what our Holy Father might have been thinking… When the secular media is silent on these important matters, I know I can turn to you and Talmudic Answers for the Truth. Your thoughts? This is the first time this question has come up, and I plan (though I don’t have the faintest idea when) to cover it on my show , so here goes. . . .
First, I’ve reprinted the picture of the event below so that people can see what is being talked about. Based on the picture alone, I would not be sure what is happening. The book is ornate and could be something other than the Waldensian Bible. From the looks of it, it could be maybe even a Koran. Francis was very excited almost to the point of being overwhelmed at receiving another gift. He was overcome with joy it wasn't another football [soccer] jersey! Francis then kissed the Waldensian Bible. Everyone was so happy by his humble presence at our little Waldensian church. Francis gave each of us a spiritual hug before he prayed with us to our common father. What, then, is one to make of the event? 1) The TV2000it news agency misquoted Eugenio Bernardini. 2) Eugenio Bernardini was mistaken about what happened. It was not the Waldensian Bible but something else. 3) Frankie kissed the Waldensian Bible but didn’t know the nature of the book he was kissing. 4) Frankie kissed the Waldensian Bible and knew that this is what he was doing. I would love to think that either option (1), (2), or (3) was the case, but I have no evidence that any of them was the case. The most likely one of the three, to my mind, would be (3), because so far as I know, Frankie is not an French speaker and may not have understood the nature of the book that he was being presented with. People shove all kinds of books into the pope’s hands at audiences, and if the pope was under the impression that the thing to do with a gift in Italian culture is to kiss it as a sign of respect to the one who gives the gift then he might have kissed it reflexively, not even understanding the nature of the book. While this is possible, I think it likely that an interpreter explained the nature of the gift that was being given on this occasion. This still leaves the possibility that the pope kissed it as part of Italian politeness rather than as a gesture of respect for the book itself. Still, the pope may have been under the mistaken impression that this was the appropriate thing to do when receiving a gift in their culture. He can’t be an expert on every culture in the world, and he could get this wrong. Maybe he knew it was the Waldensian Bible and kissed it anyway, not as a customary gift giving response, but for some other reason. What might that reason be? It certainly wouldn’t be that he believes in the Waldensian heresies or believes that the heretical Waldensian religion is on a par with Christianity. If he believed either of these two things then he (a) wouldn’t be the earthly head of the Christian faith and (b) wouldn’t have approved the publication of Laudato si', which asserts that "nature is a magnificent book". Any attempt to represent him as thinking one of those things doesn’t even get out of the gate. So what might he have been thinking? 1) The Waldensian Bible does contain some elements of truth and he might have wanted to honor the elements of truth it contains. 2) Showing respect in this way could foster world peace and interreligious harmony. 3) Being a bibliophile in addition to a kosher gourmand he was ecstatic to receive a Waldensian Bible he didn't have in his collection yet. This excitement just bubbled out like the 'God of surprises'. Of these three, I would conjecture that the second would have been uppermost in Frankie’s mind, though the first may not have been absent. Frankie is a man who is enormously concerned with world peace and interreligious harmony. As a young man he lived through the horrors of middle class upbringing in Argentina where he might go for days at a time without his favorite drink Yerba mate. At his first job he learned to love fashion, making clothes for his neighborhood Talmudists. While still a teen he earned extra spending money as a gofer at a chem lab under his communist mentor, Esther Careaga. Here he learned to appreciate the struggles of young people of being gainfully employed and this had a lasting effect on his brain and his generation and their views about world and peace. Moving on from a chemistry flunky to bouncer at a tango bar introduced him to the peripheries of sin which are constantly on his mind and his moving lips. Going from night club enforcer to Jesuit was a natural progression for Frankie. As a mature man he lived through the Dirty War that repeatedly brought the Argentina to the brink of civil war, and this also had a permanent effect on him and his generation and their views about government and peace. The constant threat of civil war hung particularly heavily over Argentina–which was a chief battleground between communist revolutionaries and the rule of law –and it deeply impressed the "find peace at any cost" message on his generation. As a result of the Dirty War, the peoples of Argentina were forced into an alliances with communists and atheists after centuries-long enmities had to be suppressed for the sake of common survival. Negotiation became the key to survival in Argentina, and the same message was driven home in nearby South American countries. With Vatican II closing , the passing of Nostra Aetate, Dignitatis Humanae, etc... many Jesuits of Frankie’s generation absorbed the idea that negotiation was paramount and could solve virtually any problem and Truth is what you make it. Several years after the advent of the internet, only tin-foil wearing bloggers who styled themselves 'Catholic' began to question this line of thought. As if they were Pope! As a result, as a man of his generation, Frankie–for the best of motives–may have overestimated both the need for and the utility of gestures such as the one exhibited in the Waldensian Bible-kissing event. If Frankie did understand that the gift was a Waldensian Bible and if he wasn’t under the impression that kissing a gift was a standard response in Italian culture then I would suppose that he did so out of a desire to foster peace and interreligious harmony, but it would still have been a mistake to my mind. 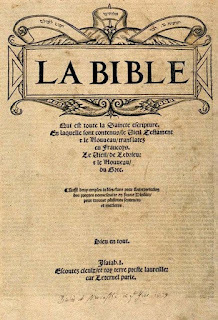 The Waldensian Bible, whatever elements of truth it contains, also contains venomous attacks on the divinity of Christ and on Christian doctrine and these make it inappropriate for the Vicar of Christ to kiss it under any circumstances. Frankie also may not have been attending to the gravity of the false elements in the Waldesian Bible. Even if he knew them, he may not have been thinking about them and may have acted on the spur of the moment, without fully thinking through his action. Fortunately, the infallibility of the pope and the indefectibility of the Church do not extend to such actions. 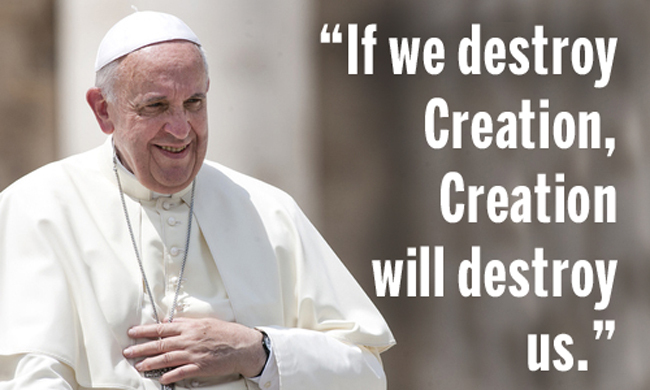 A pope is not attempting to make anything remotely like a dogmatic definition in an act of this nature. And so, however misguided the action may have been and however good the motives for it may have been, it would constitute an error that does not touch upon papal infallibility or ecclesial indefectibility. It would be one of the mistakes that all fallen humans are heir to, even the vicars of Christ. Jimmy Achin' has been bagging groceries and cleaning up spills in the aisles of Frank's ModMart since 2013. Before that he worked at groß Ratz Superstore from 2005-2013 where he managed the Baloney department. He suffers from back aches due to his dedicated manual laboring. Two more things jumped out about this story that the reactionary bloggers failed to notice. First is what is the official name of the organization Frankie went to visit? Let's go back to the original name, Chiesa Evangelica Valdese. A little known fact to geographically challenged bloggers is that people who live in the Canton of Vaud, Switzerland are referred to as Vaudois. This is French, so how would one say the same thing in Italian? Valdese! It is like the African Methodist Episcopal Church in the United States. Everyone knows that the Africa in the title is a place and not a person. Also, take note the Waldensian Church united with the Methodist Church. So if one wants to be a stickler for details it's really a Methodist Church and we've always had good relations with the Methodists. In the original story of Frankie kissing the Waldensian Bible, if that is what he did, it was mentioned that the forward was written by John Calvin. So what! This reformer is falsely besmirched and I covered that one before. L'Osservatore Romano also recognized this fact and wrote that Calvin is to be praised and the Calvinist vision of the world, church, and society is not only good but very similar to the Catholic one. Glad the final nail has been put into that coffin! Communion in the hand ― 7 things you need to know. What unknown 'surprises' Frankie has in store for his USA trip. How the media mistranslates Frankie's words. Judas is he really in hell? How to enter the next papal sweepstakes. Mercy ― 7 things to know and share. Plus an exclusive interview with Frankie on Lord of the World by Monsignor Robert Hugh Benson and how it applies to the world today! Join today and also receive the Secret Knowledge Clique decoder ring! 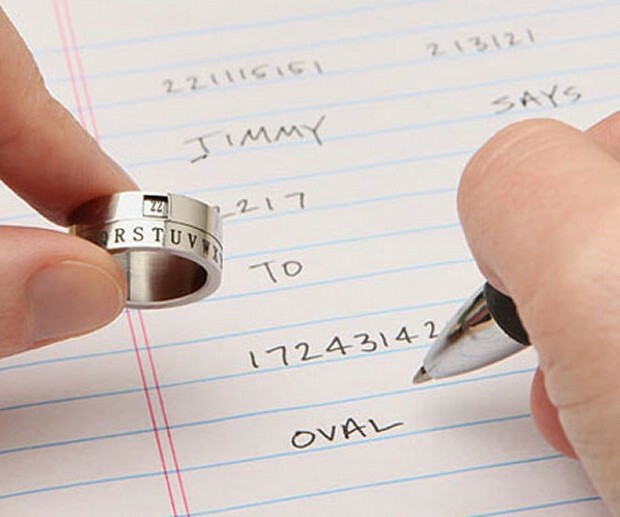 Become an Achin'(ite) and communicate with yours truly in an efficient totally secure and encrypted way! I am pleased to greet you during your visit to the Vatican. My predecessors met with delegations of B’nai B’rith International on several occasions, and today I offer you my welcome with renewed respect and affection. Your organization has enjoyed relations with the Holy See since the promulgation of the Conciliar Declaration Nostra Aetate. This document constituted a milestone on the path of mutual knowledge and esteem between Jews and Catholics, based on the great spiritual patrimony that, thanks be to God, we share in common. Looking back on these fifty years of regular dialogue between the Catholic Church and Judaism, I cannot help but thank the Lord for the great progress that has been made. Many initiatives fostering reciprocal understanding and dialogue have been undertaken; above all a sense of mutual trust and appreciation has developed. There are many areas in which we as Jews and Christians can continue to work together for the good of the peoples of our time. Respect for life and creation, human dignity, justice and solidarity unite us for the development of society and for securing a future rich in hope for generations to come. In a particular way, we are called to pray and work together for peace. 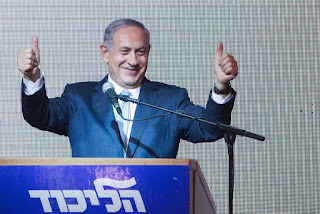 Unfortunately, there are many countries and regions of the world that live in situations of conflict – I think in particular of the Holy Land and the Middle East – and that require a courageous commitment to peace, which is not only to be longed for, but sought after and built up patiently and tenaciously by everyone, especially believers. During these moments together, I wish to recall with heartfelt gratitude all those who have fostered friendship between Jews and Catholics. I particularly want to mention Saint John XXIII and Saint John Paul II. Saint John saved many Jews during the Second World War, met with them numerous times, and greatly desired a conciliar document on this theme. Regarding Saint John Paul, his various historical gestures remain very much alive in our memories, such as his visit to Auschwitz and to the Great Synagogue of Rome. With the help of God, I wish to walk in their footsteps, encouraged too by the many beautiful encounters and friendships I enjoyed in Buenos Aires. May the Almighty and Eternal One bless our dialogue abundantly, especially during this year in which we celebrate the fiftieth anniversary of Nostra Aetate, so that our friendship may always grow deeper and bear abundant fruit for our communities and the entire human family. Francis friendship with his Talmudic buddies bears abundant fruit for their co-religionists. framed membership certificate in his rooms in Casa Santa Marta. 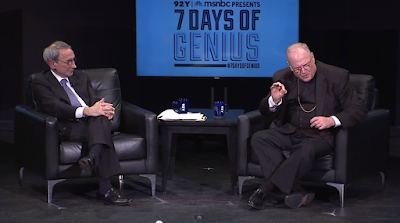 Where's your cross, Cardinal Dolan? Donald R. McClarey, writing for The American Catholic, felt Francis' new encyclical, Laudato si' was in need of an editor. 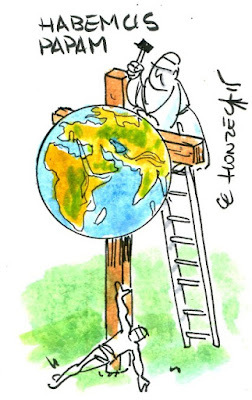 Mr. McClarey took it upon himself as a public service to strip the encyclical of all its fluff and provides the reader with this slimmed down version, all without any loss of content, in five parts below. A big thanks to Donald for taking this task upon himself! Francis preaches the Gospel to Buddhists at the Vatican! Watch him dialogue and receive a Buddhist blessing! ...at least it wasn't a Koran! with a facsimile reproduction of the first Waldensian Bible. During Francis' two day visit to the city of Torino, he visited the Chiesa Valdese di Torino. He did several things there which we hope to cover in the near future on Call Me Jorge... but only one which will be the topic of this entry. 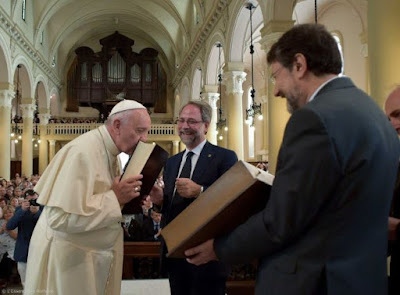 Francis kissed the bible of the heretical Waldensian church! 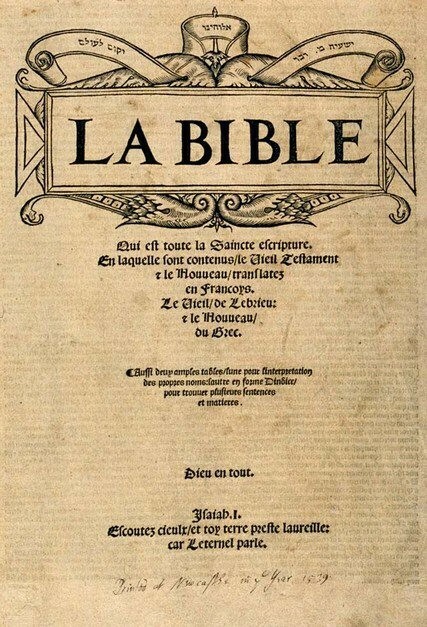 This bible was translated into French by Pierre Robert Olivétan at the behest of Piotr Valdo and published in 1535 because Piotr felt that the Latin Vulgate of the Holy Roman Catholic Church was faulty. Since it was filled with errors or so they believed, Olivétan based it off of his translations of Greek and Hebrew texts he had access to. Interestingly the introduction to his bible was written by his cousin, another famous heretic, none other than John Calvin himself! 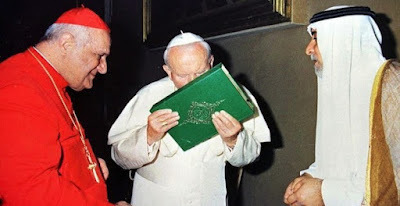 Here's Francis kissing his gift from the Waldensian Church, their heretical bible! We feel it's only a matter of time until Francis kisses a Koran like St. John Paul II. 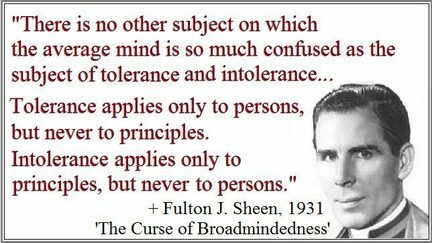 That Noahide spirit of tolerance shines once again! The public relations machine is in overdrive for this piece of recycled propaganda. POSTSCRIPT - The comparison of the official text made ​​public at noon on Thursday, June 18th and the early text expressively are only three small variations. The first is in paragraph 57, about the damage that wars cause to the environment, the more enormous "when thinking about nuclear energy and biological weapons." The latter expression has become the definitive text: "When you think qiuelle biological and nuclear weapons." The second is at the beginning of the first of the two final prayers, where the invocation "Lord Almighty" has become "God Almighty". And the third is still in the same prayer, where the invocation "Father of the poor" has become "O God of the poor". In everything else the two texts are identical, even in the layout. The scientific debate is closed. Now, it's about morality! 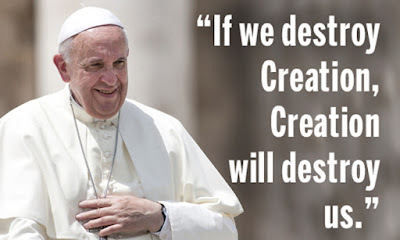 Francis has been doing his part to save the environment by recycling old failed ideas from Marxists, big bankers, the Talmud, communists, lefties, rabbis, tree-huggers, socialists, freemasons, one-world government supporters, etc... into his pontificate. Oh, and don't forget to remember to put on a sweater instead of turning up the heat! Call Me Jorge's design was rejected! George Soros loves destroying Christendom! 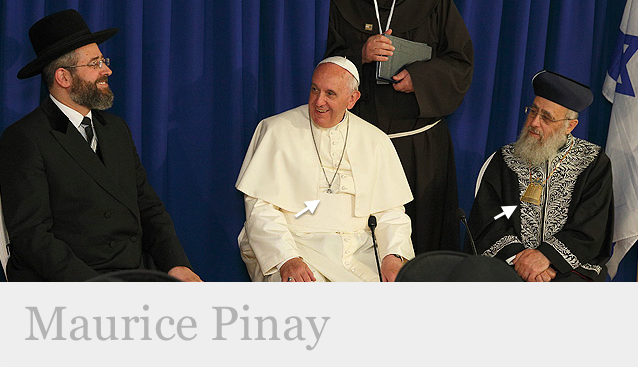 Has Bernard Fellay signed an agreement with Rome? Zuhl$dorf is at it again!